Veem is the only global payments solution built for businesses. Using blockchain and multi-rail technologies, Veem is revolutionizing the outdated and overpriced global payments space. 100,000 businesses in over 96 countries trust Veem to make sure their money arrives on time, and in full. International payments are broken. The system most banks and large financial institutions use to transfer money around the world is costing people their time, money, and sometimes their livelihoods. Things are even worse for businesses. The SWIFT network processes payments slowly, takes fees wherever it can, and even loses funds. This is because the SWIFT network processes international payments through “intermediary banks,” up to 7 financial institutions that communicate with each other to track the path of money across borders. 40 years ago, this technology was revolutionary. Today, it’s out of date, and out of time. With Veem, that’s all a thing of the past. Using blockchain and multi-rail technologies, Veem bypasses the SWIFT network and the intermediary banks that make international payments expensive, slow, and dangerous. Sending and receiving payments, and even invoicing are easy with Veem. Take ten minutes to sign up, and start sending. Veem is a two-sided network, which means that your payment sender or receiver is onboarded into the network as well. That means faster and safer payments. Veem wants to make business finances easier. Nobody likes sitting around crunching numbers all day. But, keeping things in order is vital to the continued success of a business. That’s why Veem integrates with some of the world’s best accounting software. 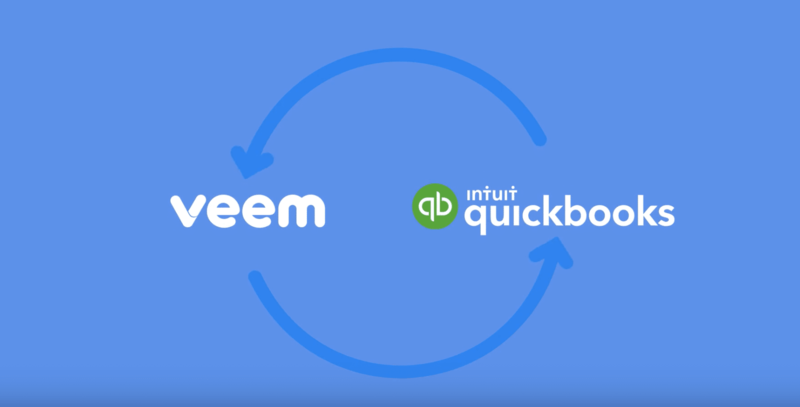 Using their QuickBooks, Xero, or NetSuite integrations, Veem users can automatically reconcile payment information into their records, saving them time they can spend growing their business. Veem proudly supports over 500 accounting firms to help their clients with seamless global payments. 2-factor authentication, mutli-level approval, and Intuit single-sign on make Veem one of the safest places for accountants to work. Paying and getting paid has never been easier. Never worry about your money again with Veem. Easily send and draft payments or invoices to the US or abroad in a couple of clicks. Our product has security in place; We verify both sender and receiver for compliance. Additionally, multi-level approval and 2-factor authentication helps protect your account. Peace of mind and support: you can always reach our support team or dedicated account manager. Learn how Veem can help your business. Get started with Veem + Acuity today.